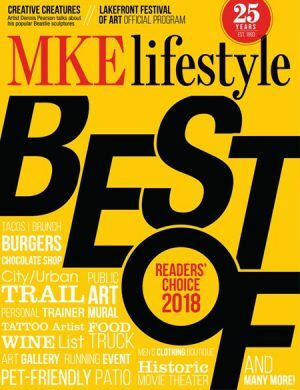 From the Calatrava-designed art museum to Harley-Davidson motorcycles, MKE Lifestyle captures the essence of living in Milwaukee, Wisconsin’s largest city located on the shores of Lake Michigan. MKE Lifestyle reaches more than 60,000 select homes and businesses in the greater Milwaukee area every month. Thus, whether living in the sprawling suburbs or in the heart of downtown, readers find information that is relevant to their lifestyle, including home design, fashion, health, dining and society events. Articles are upbeat, profiling the activities of local people contributing to the area’s growing vitality. Cover to cover, MKE Lifestyle showcases the culture of the greater Milwaukee area.